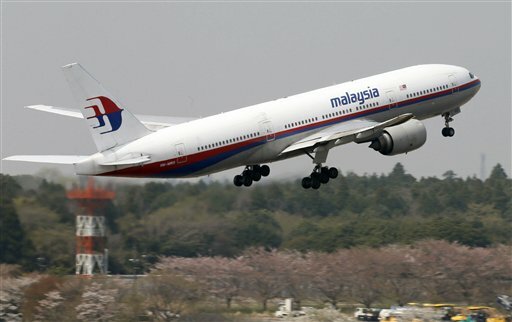 Twenty employees of Austin-based technology company Freescale Semiconductor were on board the missing Malaysia Airlines flight MH370 that was en route to Beijing. The employees were en route to a business meeting in China, a spokeswoman for the tech firm said. The employees — 12 from Malaysia and eight from China —work at facilities in their respective countries that manufacture semiconductor chips, said Freescale Semiconductor spokeswoman Jacey Zuniga. “We have several manufacturing sites in Kuala Lumpur and Tianjin, China. Those 20 employees were with those teams,” she said. The employees were aboard Flight MH370, which lost contact with ground controllers somewhere between Malaysia and Vietnam after leaving Kuala Lumpur early Saturday morning for Beijing. The plane was carrying 239 people. The fact that the employees were on board has sparked one of the many conspiracy theories associated with the plane vanishing, which is that there was electronic weaponry on board. The theory purports that the weaponry enabled some of the people on board–the Freescale employees and the people who boarded the plane with fake passports–to jam radar and other electronic observation, making the plane essentially invisible except to eyewitnesses. The report also references a story from Fox News that explained that new stealth technology makes airplanes invisible to radar, and can also make them hard to spot with the naked eye. The story includes references to Chinese media reports that detail making things disappear using types of invisibility cloaks. The missing flight was flying from Malaysia to China. Freescale’s commercial products can meet the requirements of applications such as avionics, electronic warfare, and battlefield communications, according to the company’s website. Zaharie Ahmad Shah, Fariq Abdul Hamid Pilots on Missing MH370 Flight: Who Are They?